Nandamuri Balakrishna and Boyapati Sreenu have teamed up for a new movie. The film is currently in production. 14 Reels Entertainment banner and Sai Korrapati are jointly producing the film and the producers are sparing no efforts to come up with a high quality film. 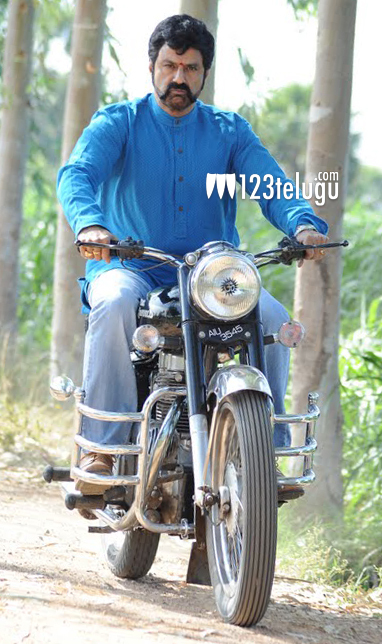 For Balakrishna’s character in the film, a special bike is being readied. Special designers have been flown in for this purpose. The bike is going to have a custom paint scheme and stylish wheels. Sonal Chauhan is the heroine in this movie. The makers are in the process of finalizing one more actress for the film. This untitled film is expected to hit the screens in early to mid 2014.